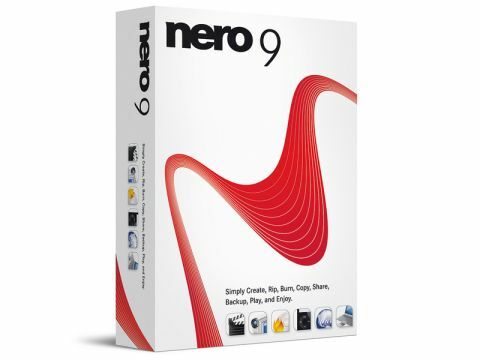 Nero 9 is the main rival to Roxio Creator and offers similar features and aims, with more than 20 diverse tools for tasks including copying and burning discs, to editing and authoring your audio files. A full installation takes up 1.5GB of hard disk space, which is half the size of Roxio Creator. However, users looking for a major overhaul from Nero 7 will be in for a shock as this is pretty much only an update. The interface, for example, has been slightly updated but remains largely the same. Perhaps the most obvious change is the way you access programs, as you now use a central StartSmart menu. This proved easy to use and makes for a more cohesive package than earlier editions. There are also a host of new features for video editing. You will now find support for Blu-ray disc authoring, for instance, as well as importing AVCHD directly from your camcorder. These movie projects can be saved either straight to disc, or converted and uploaded to online storage accounts. With laptops increasingly sporting TV tuners, one nice touch is the new tuner interface that allows you to record programs and even play them back from within Nero. Another new feature is AutoBackup, which works with Nero's online back-up tools to let you store projects online. In practice, Nero 9 works well, but the interface isn't as smooth or logical as Roxio Creator. Overall however, it is a competent and powerful set of tools and is a great purchase for first-time buyers. However, if you're simply looking to upgrade from Nero 8, we'd suggest that there are too few new features here to make it a truly worthwhile investment.